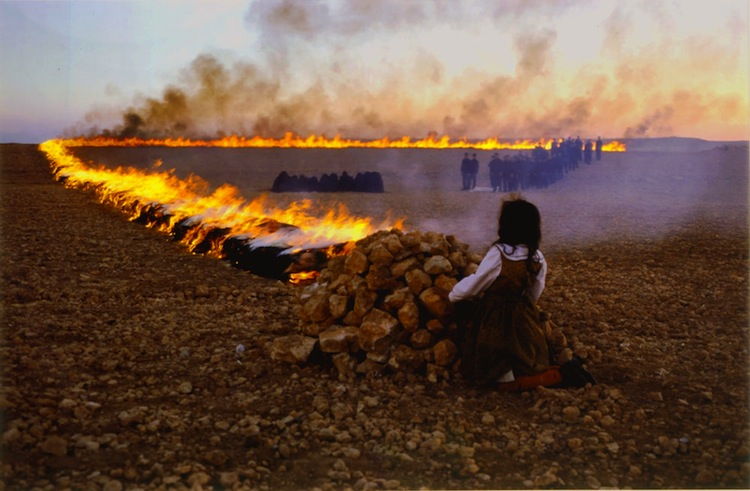 Sotheby’s to Auction Shirin Neshat’s Video Piece "Passage"
Shirin Neshat’s haunting video piece Passage is up for auction in October as part of Sotheby’s Contemporary Art/Doha auction. Still from Shirin Neshat's Passage. 2001. The winning bidder will take the piece home in the form of a DVD and a digital beta master clone, as well as a certificate of authenticity. The piece is part of an edition of six plus one artist's proof, examples from this edition can be found at the Guggenheim Museum in New York, the Museum of Modern Art in New York and the San Francisco Museum of Modern Art. The Contemporary Art / Doha auction will be held on October 13 comprising 53 lots. Alongside Neshat, the auction includes works by artists such as Damien Hirst, Sterling Ruby and Anish Kapoor. Find more auctions from Sotheby's here.